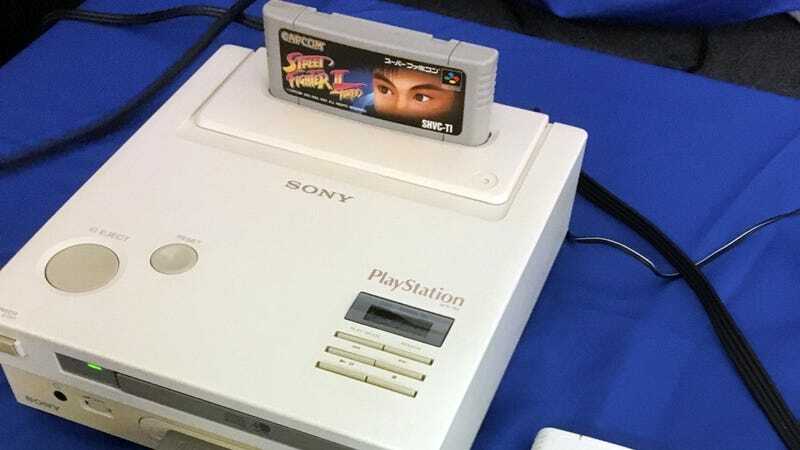 An original prototype of Sony’s PlayStation, dating back to the company’s short-lived partnership with Nintendo, has now been completely restored to life by popular console modder Ben Heckendorn. Created in the early 1990s, this machine is little more than a Super Nintendo Entertainment System with a CD-ROM drive. It would have represented Sony’s entry into the game hardware market, had Nintendo not backed out on the deal. Instead, Sony decided to push forward with its own machine, keeping the name. On today’s episode of “The Ben Heck Show,” Heckendorn shows the process by which he was able to repair the precious prototype hardware, which has become known as the “Nintendo PlayStation.” When it originally surfaced in 2015, the unit played Super Nintendo cartridges via the slot on its top, but the CD-ROM drive did not work. By replacing bad capacitors and making a slew of other adjustments and fixes to the unit, Heckendorn has restored its ability to run audio CDs and, most importantly, CD-ROM games. While many games were in development for this system in the early 1990s, none have ever surfaced publicly. But once the system’s specifications became known last year, homebrew game developers created a couple of small games that, in theory, would run. As it turns out, while the homebrew games didn’t run perfectly on the actual hardware, they did indeed run. Screen shot from The Ben Heck Show. “So now, what it’s really down to is the homebrew programmers figuring out the difference between their estimated emulator and what the real hardware can do,” Heckendorn said in the video. He noted that he sent some video of the homebrew game Magic Floor, shown above, to the game’s developer, who figured out at a glance what he needed to change about the program to get it to run correctly on the machine. He sent back a modified version that Heckendorn said runs perfectly. Understanding how the “Nintendo PlayStation” actually works will be very helpful if and when any software that was developed during its lifetime ever does surface. Most notoriously, the Square RPG Secret of Mana began its life as a project for this device. So it’s possible that some day down the line, we’ll have some real prototypes from this era to play, and we’ll have The Ben Heck Show to thank if we can actually see them played on a real machine.